Hi there and welcome to Raw and Free! My name is Sophie.. Five years ago, I was diagnosed with an autoimmune disease called Graves' Disease. I embarked on a holistic journey with the hopes of reversing this disease through a raw, plant-based lifestyle.. and I achieved so much more than that! Raw and Free (@rawandfree) was created as I was beginning this journey to share and hopefully help and inspire others along the way. 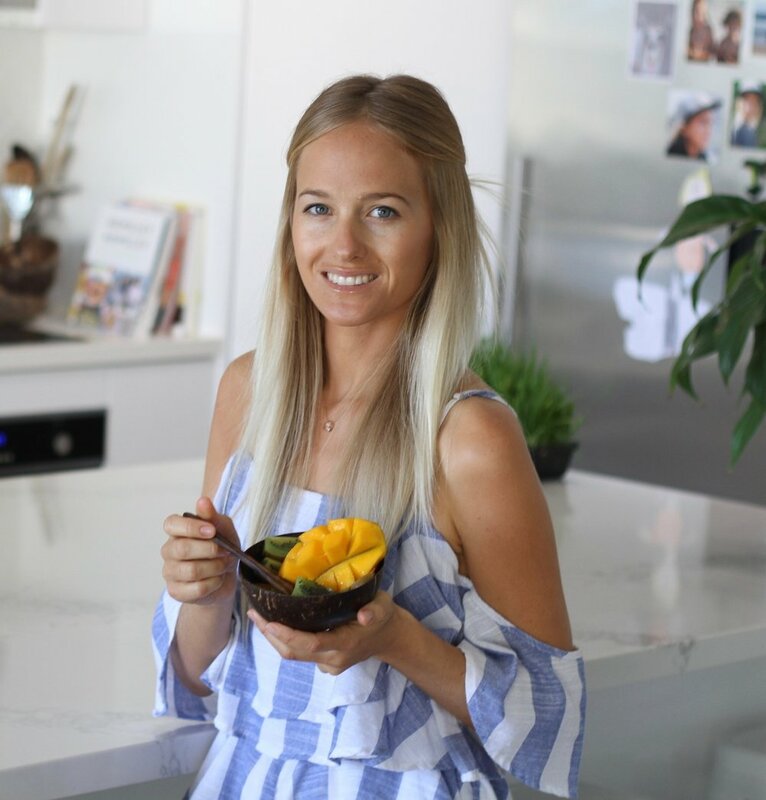 As I was connecting to thousands of people around the world, I realised just how many people were wanting to learn more about a plant-based lifestyle but were struggling to find the answers they were looking for. This is when my extension of @rawandfree was created. This website is based on my personal philosophy about the wonderful benefits of a healthy, sustainable plant-based lifestyle. I hope it's a place where you can find some of the answers you may have been searching for to help you begin your plant-based journey! I'm from a beautiful place on the East Coast of New Zealand and live here with my partner Ricardo and three beautiful boys, Eli, Milo and Jai. We live near the ocean, enjoying the sun, surf and a bit of travel while consuming an abundance of delicious plant-based food on the daily! Feel free to read my full story below.. It was about four years ago, when I first discovered something was wrong. I was living in Bali at the time with my partner Ricardo and two boys Eli and Milo, (aged 4 and 6) when I suddenly became very ill. Initially, I self diagnosed this as the standard bali-flu but as I rapidly became much worse, I ended up finding myself in hospital with the verdict being that I had picked up Typhoid Fever and multiple kidney infections. At the time, Ricardo happened to be competing in South Africa at a surf competition so it was an immense challenge in itself being alone and incredibly sick in a Balinese hospital, whilst taking care of Eli and Milo. My boys were absolutely amazing though! We had a room with a double bed and an ensuite so we would all snuggle into bed together each evening and during the daytime we would play games, draw pictures, watch movies and when I was able to walk around, we would walk back and forth to the hospital shop or cafe to see what fun we could find - with my intravenous poll in toe! It was on our third morning in hospital, as my doctor was doing her morning rounds, that she suddenly noticed a lump on my throat. After further tests, she discovered the lump was actually my extremely over-active thyroid. At the time, she thought that this was due to my severe infection and I was eventually discharged from hospital with the standard thyroid medication. The expectation was that my thyroid levels would soon return to normal so this was enough for us to continue to live in Bali over the following five months, enjoying the sun, surf and the beautiful culture. But as I was eventually taken off the medication, many mild symptoms of Hyperthyroidism crept in, such as a rapid heart beat, changes in my bowels, nervousness and heat sensitivity among others. I knew things were not quite right and it was time I flew home to New Zealand and find out what was going on. After explaining everything in detail to my specialist, followed by further tests and an ultrasound, he was quick to diagnose me with Graves' Disease. All I remember thinking was, ‘What on earth was that?’. I was quick to discover that Graves' is an autoimmune disease. Basically, the immune system creates antibodies to attack the thyroid gland causing it to produce an excessive amount of thyroid hormone and become over active. This will then put the body into over-drive and host a number of symptoms such as a rapid heartbeat, excessive sweating, hand tremors, nervousness, heavy anxiety, weight loss, sleep problems and the scariest being the risk of experiencing a life treating thyroid storm (when the heart rate, blood pressure, and body temperature suddenly soar to dangerously high levels). Although the thyroid gland is only a small butterfly shaped organ located in the front of your neck, it has an enormous roll to play in your body and has a huge impact on your overall health. In my case, this disease was hereditary, being passed down from my Grandmother and further generations. I was given the standard course of antithyroid treatment, as well as cardiac medication to control my rapid heart rate. The standard treatment protocol for Graves' usually means you take the antithyroid medication to bring down the elevated levels and remain on this medication for about one year, however the prognosis is that most cases can not be cured and would eventually need to have radioactive therapy treatment (or surgery) to kill the overactive thyroid. This effectively gives you hypothyroidism (an under-active thyroid which then hosts it's on set of problems), so you would then need to take another drug for the rest of your life to recreate the function of the destroyed thyroid. I was 26 years old and feeling more unhealthy than ever before. I knew some big things needed to change if I was going to survive in this world. Over the next year, I researched avidly online and read many books, I cleaned up my diet, cut out most processed food, worked with both a naturopath and a homeopath and fell in love with my blender. During this next period, I suffered many more symptoms of Graves' including anxiety, irritability, hand tremors, nervousness, weight loss... and gain, heavy fatigue, hair loss, constant achy bones, heart palpitations, rapid heartbeat (which meant no exercise - I couldn't even walk up a tiny hill without my heart flipping out) a dangerous episode of atrial fibrillation (tachycardia - an extremely rapid heart rate) in Denpasar airport and at one point, I was back in hospital with an allergic reaction to the thyroid medication. I don’t think anyone with Graves' can truly explain the feelings you feel though. It's as if I was an entirely different person. There was such a big hormonal imbalance going on in my body and it had become hard to socialise or even be myself anymore. No-one understood how I was feeling and I couldn't explain it to anyone either. I would never know when a sudden anxiety type of attack would hit me. I could be sitting around with family, reading a book or playing with my children when all of a sudden a rush of something would flood through my body. It was like I could feel the release of hormones, or as if I had just swallowed a drug. My head and vision would go fuzzy and my heart rate would accelerate. Most of the time, no-one around me would even know it was happening. There was nothing I could do but breathe through it until it eventually passed. That was probably the symptom I disliked the most, I found it made me live in fear and I lost my confidence through that. After 14 months on the medication, with back and forth visits to my specialist, I was finally in remission! I was feeling good.. well at least I thought I was. 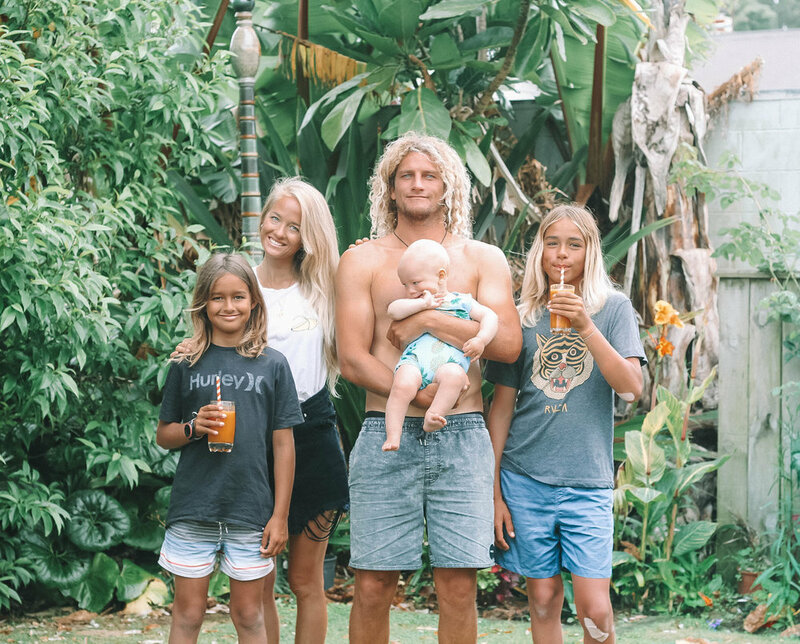 My family and I took a six month trip through Europe and Hawaii to support Ricardo, who was competing in various surf competitions around the world. When we returned home, I was shocked to discover that my thyroid had once again skyrocketed into dangerous levels. I had been in remission for one year and the disease had returned with a vengeance. But the truth is, I never really was in 'remission'. My elevated thyroid levels had only returned to normal allowing me to take a break from symptoms and medications, however my thyroid antibodies remained the same and the underlying causes of the problem were far from being corrected. Upset and disheartened, I returned to my specialist in Auckland to only then be told that I had no option left but to destroy my thyroid through radioactivate iodine treatment and take thyroxine medication for the rest of my life. He strongly insisted that I would never go into remission again, and that it was simply not possible to do so. And he was right, if I had continued down that same path. I left his office that day with the paperwork for radioactive iodine treatment but despite what he had said, I was far from ready to give up. I remember thinking that if my body was capable of causing this disease in the state that it was in, then what was next? Something in me just knew I needed to dig deeper and I felt more determined than ever to heal my body, once and for all. That night I went straight home and read and researched as much as humanly possible and my main discovery was this.. What we eat, drink, breathe, put on our skin, think and feel all have adverse effects on our health. These are the things that will either make us sick and weak, or experience exceptional and robust health and that simply put, a raw plant-based lifestyle has the powerful potential to heal. This resonated with me more than anything else and gave me a sense of hope where there seemed to be none. I also learnt that just because something may be hereditary, does not mean it can't be reversed and corrected for the generations to come. I then stumbled across a blog post by an incredible woman Rosanne Calabrese who had reversed her Graves' Disease and Hashimoto's (another auto immune disease) by detoxing her body through Dr Robert Morse's clinic in Florida. Morse is regarded as one of the greatest healers of our time and his incredible work and herbal protocols have helped thousands of people for over 40 years. His philosophy is simple - complete cellular regeneration by alkalising, detoxifying and energising the body through eating the foods that are biologically suited to our species (raw, organic fruit and vegetables) and taking powerful herbal formulas that will effectively rebuild and regenerate the entire body, resulting in the reversal of disease. This was all I needed and it made sense to me in so many ways.. The next day, I went completely plant-based. I had already been vegetarian for years so for me this just meant cutting out dairy and eggs. I stopped consuming all processed foods, coffee, alcohol and reduced my gluten intake. I wanted to cut out as many toxins from my life as possible so I also also stopped colouring my hair, using toxic nail polish, replaced all of my cosmetics and skin care with natural, plant-based alternatives and discontinued the use of any harmful household cleaners. I then purchased a copy of Dr Robert Morse's book, ‘The Detox Miracle Sourcebook’ and with eyes wide open, I read every single word on every single page! I could not wait to book a consultation at his clinic but would soon discover that it was booked out for months in advance. I was too eager to get started, so I began working with a Detox Specialist (trained by Robert Morse) called Cheyne Goulden who produced a 14 week herbal protocol for me. Not long after that, I booked my first appointment with Rosanne Calabrese (who has a clinic in Florida as an Acupuncturist and has been a Detoxification Specialist trained and mentored by Dr Robert Morse for over 5 or so years now). Working with Rosanne was the best thing I could have ever done. She is such a wonderful and caring woman full of wisdom and she gave me so much confidence throughout the entire process. In August 2016, I embarked on my detox journey. I was ready to cleanse my body from the many built up toxins and finally correct the underlying causes of my Graves' Disease. I was on a mission and it felt amazing! Over the next 12 weeks, I ate only raw, organic fruit and vegetables and took herbal formulas three times per day. This meant no oil, nuts, seeds, salt, pepper, dressings - nothing but pure fruit and vegetables and a little sweet potato, all while practising correct food combining. Most of my days would consist of fresh fruit smoothies for breakfast, a large mono meal of fruit for lunch and for dinner I would usually have a large salad filled with a variety of raw vegetables and leafy greens with avocado, sweet potato and a squeeze of lemon or lime. Snacks would consist of fruit, smoothies or fresh fruit and vegetable juices. I would take about 8 different herbal formulas, three times per day before meals and would drink powerful herbal teas twice a day. The first week was the hardest, just taking that first step into the unknown but soon after, I felt as if I was flying through it! This is when I first discovered a true understanding of how to feed and nourish my body and what it meant to eat real food, straight from our earth. I began to crave fruit and veggies - and nothing else! I could finally taste the true flavours and had found a deep respect for this food. I was one hundred percent committed to this detox and made it work around being a busy mum as well as other commitments. After the first two weeks, I stopped feeling hungry as my body was busy cleansing and it was at about week 5 that my detox symptoms crept in. I had body aches, headaches, skin break-outs, fatigue, weakness, swollen tonsils, swollen glands, weight loss and for a few days I suffered from a sharp pain in my spleen. Because of what I had read, I welcomed these symptoms in and they were to continue on and off for the next month or so as the true detoxification and healing process was in full force. I continued to see my GP throughout the entire process and had regular blood tests. Although my thyroid levels were initially beginning to climb again, I tried not to let this dishearten me. I continued to have Skype consultations with Rosanne who would continuously give me incredible support, knowledge and encouragement. By the end of the 14 weeks, I was feeling better than ever! My digestion was incredible, my skin was soft and clear and many things in my body had corrected. At that point, my thyroid levels were starting to improve so I decided to extend the detox for another 8 weeks. I knew I had been sick for many years and I felt I needed to keep going for longer. Well.... my bloods came back completely normal!!! My thyroid function was normal and stable and my thyroid antibodies were now completely normal for the first time in years!!! This was supposed to be impossible! I sat there fighting back tears, all of a sudden everything hit me. I realised in that moment just how much I had been through and how hard I had worked to get to this point. I don’t think I could ever describe the feeling I felt that day. But it was empowering. I was so lucky to have an extremely supportive family throughout the entire process, especially my partner, my mum and my two boys. I will be forever grateful for their help through it all over the years! Eli and Milo are absolute super stars, they went through the entire 3 years with me - every moment, every set-back and every mile-stone. Although I finished my herbal protocol after 5 months, I continued to eat much the same. It's now been 14 months since the detox, I've introduced nuts and seeds and I have a little brown rice or quinoa once and awhile but I continue to eat an abundance of raw fruits and vegetables. No other food on this planet makes me feel better than this powerful food source. I truly believe this is the food that was put on this earth for humans to eat and I am so grateful I now know how to nourish my body this way and can teach my children to do the same. I now look at my autoimmune disease as a blessing. It taught me how to nourish and look after my body and I will be forever grateful for that. We get one life and one precious vehicle to ride us through it... One of the biggest lessons I have learnt through this experience, is to never take that for granted again. I wish you all the happiness and good health in the world! For further infomation on the detoxification process including clinics and resources, click the link below..